Highly Recommend Fast n fuss free purchase. A fast n powerful NAS! Purchase via Qoo10 and get it on the spot and installed an original 4GB Ram. The staff are friendly and knowledgeable and willing to help. Thank you. Highly Recommend Price is good during promo, seller provides good service. Price is good with Qoo10 cart coupons during promo. Collection from the shop is smooth and service is good and professional. Seller go through the box content in details and unlike other seller (VideoPro) promised for 1-to-1 exchange if product is faulty within 7 days. Unit works as expected. Good! item as described. no fuss pickup. Does this set have local warranty? When i clicked on the Shop info link next to the Store Pickup option, the window pops up showing error: Wrong itemcode . Anything wrong? collection next week, have stock? what is warranty period for the product? 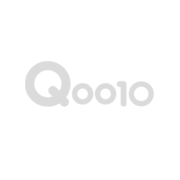 hi, for this wrong items code, please check with qoo10. and please give us your order number so that we cna check.